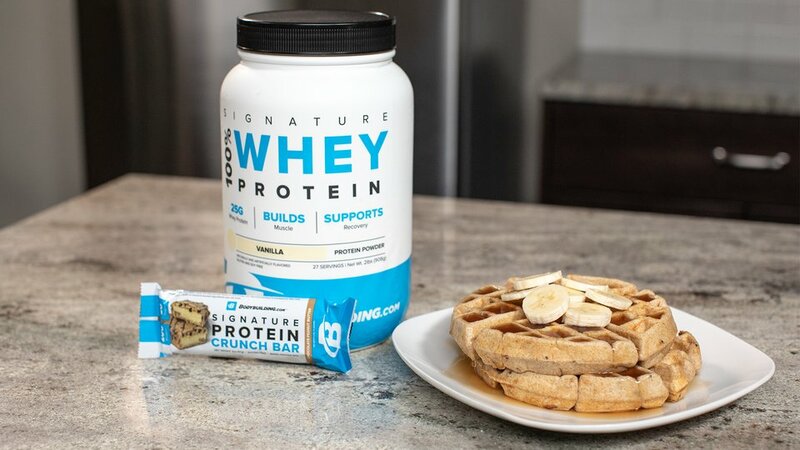 Looking for a healthy breakfast treat as delicious as banana bread but as easy to make as waffles? Check out this delicious peanut butter banana recipe for a high-protein twist on a breakfast favorite! Preheat waffle maker to medium heat. Whisk together flour, protein powder, PB2, cinnamon, and baking powder. In a separate bowl, mash banana until smooth. Add egg, Greek yogurt, almond milk, and vanilla extract, and mix well. Add the wet ingredients to the dry ingredients and gently mix together until combined. Spray waffle iron with nonstick spray. Pour batter evenly into waffle iron and close. Cook for about 4 minutes or until golden brown. Top with sliced bananas or sugar-free maple syrup and enjoy!